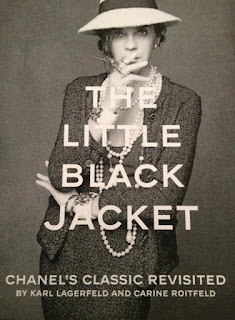 In October 2012 London’s Saatchi Gallery saw the opening of Chanel’s Little Black Jacket exhibition, featuring over 100 black and white photographs of fashion icons wearing the classic black jacket. Celebrated designer and head of Chanel Karl Lagerfeld selected some of his favourite muses to feature in the exhibition. The eccentric designer took all the photographs himself, with subjects including Alexa Chung, Daphne Guinness, Carine Roitfeld and Vanessa Paradis. The photos demonstrate the incredible versatility of the little black jacket, with each image capturing the individuality of its subject. Georgia May Jagger’s youthful sexuality is powerfully conveyed as she stares down the camera lens in a balconette bra, black jacket and tousled hair. Daphne Guinness appears as unique as ever with her sparkling jewellery and dramatic hair, while Alexa Chung dresses down with double denim cut-off shorts and shirt, demonstrating the effortless casual chic style so popular among young women today. As well as showcasing a selection of some of today’s most glittering stars, the exhibition is also a special insight into the intimate relationship Lagerfeld has with his subjects, and a great source of inspiration as to how to wear black. All the stars wear the simple but iconic piece with such stylish aplomb that it is hard to resist the desire to acquire a little black jacket of your own. 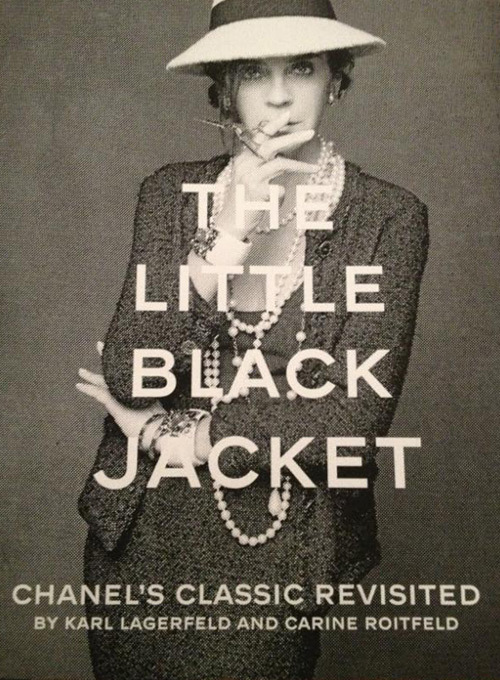 The black jacket comes in second to only one other fashion staple – the little black dress. As illustrated in these photos, a simple black item of clothing can be dressed up or down to suit any occasion. Teamed with ballet pumps and a denim jacket, a little black dress can be worn during the day, then quickly become elegant evening wear when you exchange pumps for heels and the jacket for a decorative shawl. Add a dash of crimson lipstick and you will be all ready for the red carpet. Check out Very.co.uk’s collection of black dresses to find the perfect style for you today.